Usually when researchers find bugs in software, even critical ones, the company responsible apologizes, addresses any flaws, and then puts out an update for people to download again. 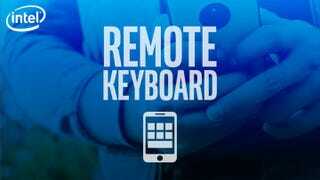 However, in the case of Intel’s Remote Keyboard app for Android, it seems even that is too much work for Intel. After three different security researchers found a number of severe exploits, the company seems to have decided to ditch the app altogether instead of patching the holes. According to an Intel security alert, the Remote Keyboard app, which enabled users to wirelessly control Intel NUC (next unit of computing) and Intel Compute Stick devices using their phones, was found to have three different vulnerabilities, one of which has been listed as “Critical” by Intel itself. These exploits made it possible for a hacker on the same network to hijack the connection and inject keystrokes and even malicious code into affected Android devices. In other words, Intel isn’t fixing the app, and people who have it installed should delete it as soon as possible. Intel has also removed the app from the Google Play store, which had previously been installed over 500,000 times, so new users won’t be able to download it, either. However, while that 500,000 figure sounds like a lot, in the grand scheme of app downloads, it’s actually pretty small. Companies discontinue apps all the time, especially when it comes to older software. But it’s still funny to see Intel decide it’s more trouble than it’s worth to fix something, rather than just forget about it entirely.